When Bryan and I were riding around Beijing (inhaling various flavors of fuel), I fretted about locking the bikes, making sure we picked a good spot to lock them, and was wary of bike thieves. We debated the likelihood of theft and thought with hundreds of millions of bikes on the street, who would need to steal one? 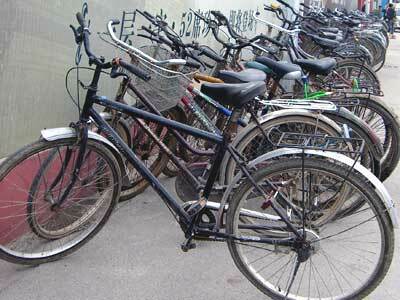 Well, according to a China Daily report, 4 million bikes get stolen a year and they just halved that and consider it a success. Wow that’s a lot of bikes! Interestingly, the bikes we did see locked, were more like a cursory lock, not NYC style at all.